I'm planning to write about how it feels to be a Foreigner in this country, giving you my view on Italy and Italians in general. 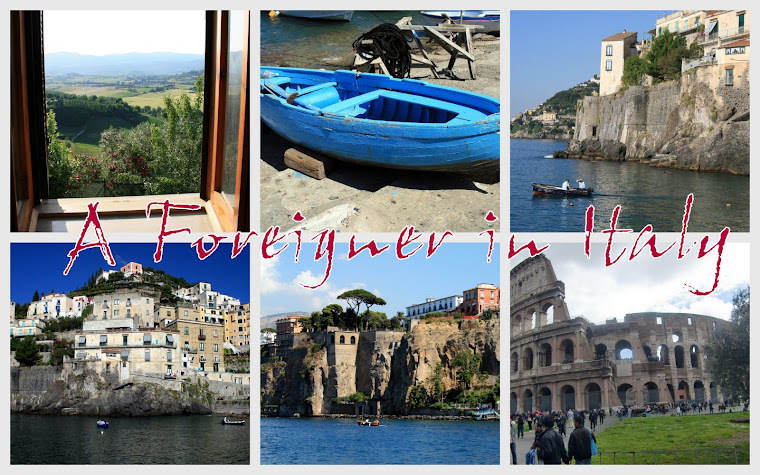 But I will also include some history, geography, culture, language/dialects and of course Italian food in my posts. And I hope that you will enjoy yourself while reading. Or as the Italians say: Buon divertimento! PS. As a Norwegian I might see things from a different view than a British, French or Hungarian, so maybe people who read my blog can learn something about the Norwegians as well, who knows...? Please feel free to leave a comment if you like; it's always nice to get some feedback from the readers.